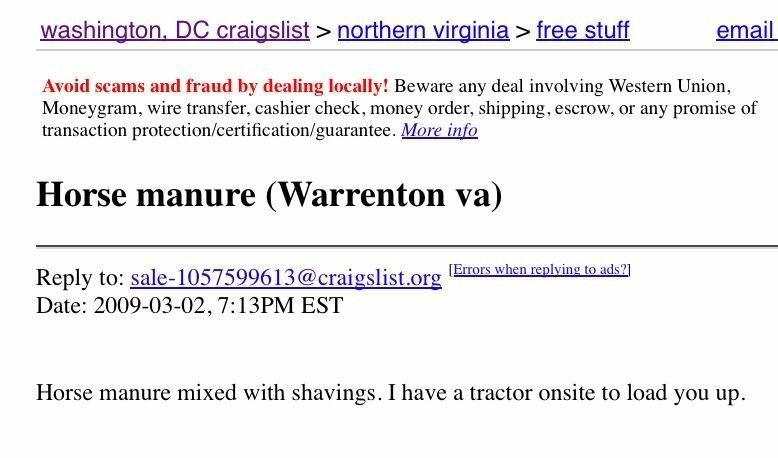 What is the best thing in the "free" section of Craigslist DC today? 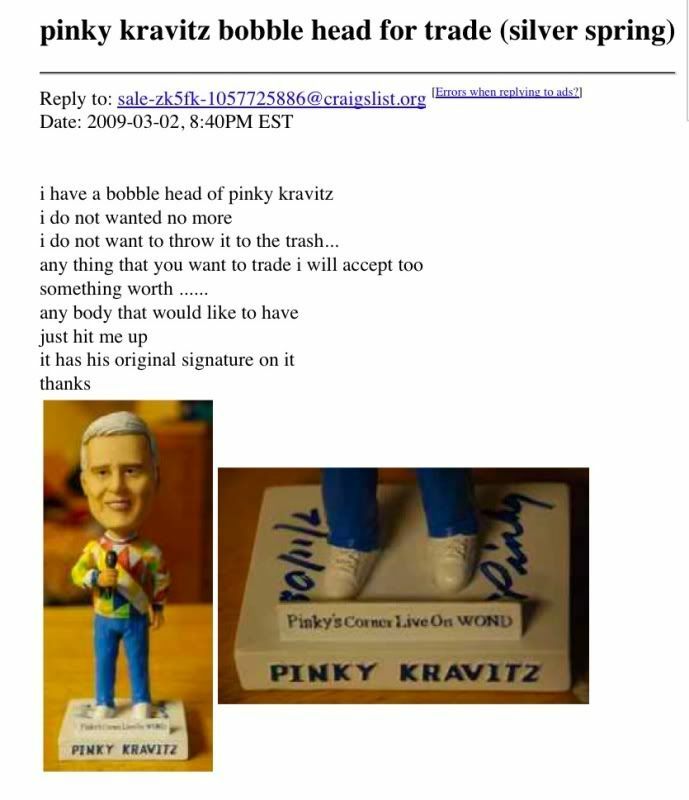 I do not want to throw it to the trash." Apparently Pinky was a talk radio host in Atlantic City. Act now folks, before that statuette is thrown to the trash! Oh dear God, please don't load us up. Please no! March 2, 2009 by Adele Chapin.